If you did try Hanoi Pho, why not try another version which is Southern Pho to see how different they are! 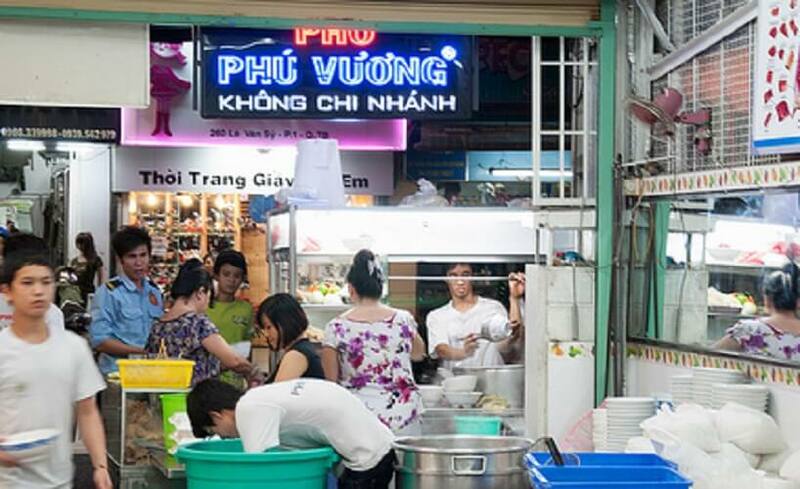 The most famous store selling Pho in Saigon will always be Pho Phu Vuong, a popular place located in District 1 and also District 3. 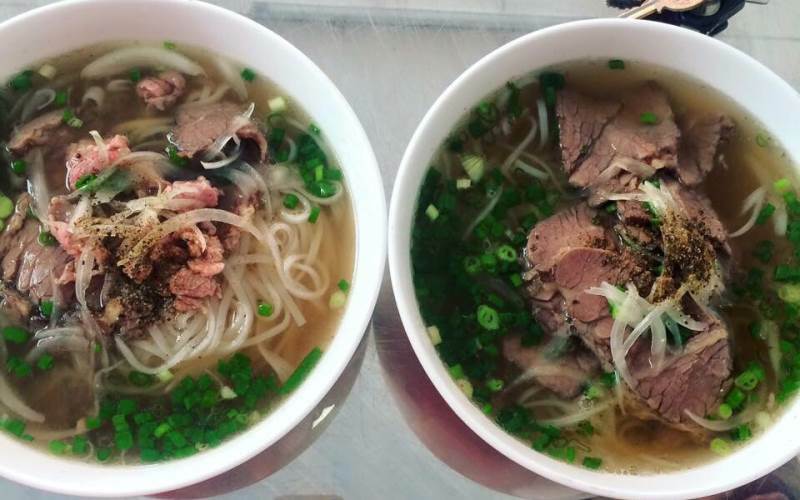 Pho Phu Vuong is a combination of the northern recipe and the southern one that once trying it, you would recognize the traditional taste of Pho Hanoi but also the favor of Pho Saigon blended into a bowl of Pho Phu Vuong. 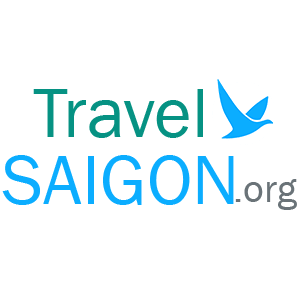 One point for this store is that you would be impressed with the cleanliness of that place together with many air condition equipped bring the best experience to tourist especially foreigners who have never been to Vietnam before. On the wall of the restaurant were huge boards showing the different cuts of meat. Equally noticeable throughout the restaurant were mentions of “serving 100% of beef” on the menu, napkins, and posters on the wall. 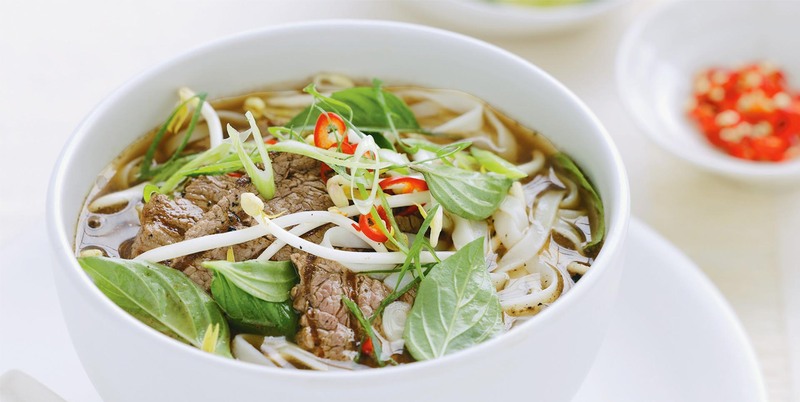 Another point is that if you take a look at the menu, you will notice that there is a large selection of pho made with different cuts of beef including skirt steak, flank steak, brisket, and for more adventurous eaters, you have cuts like tendon, tripe, and beef blood. Pho Phu Vuong opens every day from 7 AM to 10 PM with the reasonable price from 50,000 to 70,000 VND, you can arrange your time and pass by this famous brand to catch the traditional favor of Pho Vietnam, one of the unique dishes in Vietnam!